Based in Bromsgrove, Studio B61 is a creative services agency offering graphic design, marketing and communications strategy and in-house printing solutions. It works with corporate clients across a range of sectors, including property, finance, leisure and tourism and also works with public sector clients. 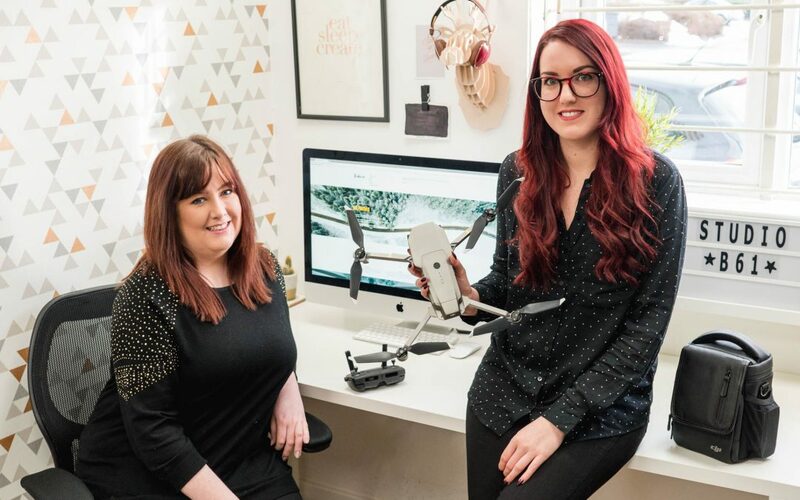 Directors Hannah Dudley and Sian Conway first met on an entrepreneurship scheme at Coventry University. Graphic designer Hannah had been working on her own for several years and Sian had been gaining experience in a range of senior marketing roles. When they explored the possibility of joining forces to set up a creative services agency they realised they would benefit from some mentoring and training. The pair also felt they could benefit from financial support for capital investment in new equipment. In August 2017 the pair contacted Worcestershire Business Central and signed up for the Enterprising Worcestershire programme, which is part-funded by the European Regional Development Fund, Worcestershire County Council and district councils. During the two-day finance and marketing workshop they also applied for Enterprising Worcestershire grant funding. Having hit the ground running, Studio B61 has been able to bid for larger projects. The team now counts Severn Valley Railway and HMP Hewell among its clients and continues to work with Hannah’s former design clients including Harris Lamb property consultants. “We spend a lot of time getting to know clients at the beginning – getting to know where they’re at and what their goals are. Sometimes we take on one-off projects, other times we are working as an extension to their team,” explains Sian.